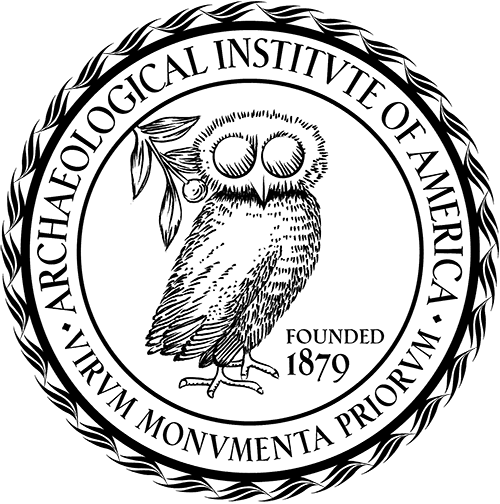 As part of the Archaeological Institute of America’s ongoing efforts to advocate for the protection of cultural heritage, the AIA has submitted letters to the State Department’s Cultural Property Advisory Committee (CPAC) in support of requests made by the Republic of Chile and the Hashemite Kingdom of Jordan for U.S. import restrictions on archaeological materials from their respective nations. Both countries submitted their requests pursuant to Article 9 of the 1970 UNESCO Convention on the Means of Prohibiting and Preventing the Illicit Import, Export, and Transfer of Ownership of Cultural Property as implemented by the Convention on Cultural Property Implementation Act (CPIA). Both Chile and Jordan are seeking an agreement with the United States to protect cultural property in the form of a Memorandum of Understanding (MoU). In their requests for MoUs, both countries must demonstrate that their heritage is at risk of looting for illicit export, that they are working to protect it, and that their heritage and heritage efforts benefit the international community. In this regard, it is the AIA’s position, that both the risks to and efforts towards the protection of archaeological heritage have been clearly shown by each nation, therefore, the AIA supports both nations’ requests for MoUs. Chile and its territories contain sites evidencing early human occupation in the Americas, the rise of complex societies like the Inca, Polynesian exploration, and more. Pre-Columbian art found in Chile, such as textiles, ceramics, precious metals and figurines, have long been popular items on the U.S. art market. Jordan too has a long history of human occupation and a variety of unique sites from the Paleolithic through the Ottoman periods. Included among them are Shubayqa 1, which shows evidence for the earliest bread making in the region, several sites and cities mentioned in the Bible, along with the classical sites of Petra, and Jerash. As a part of the “Holy Land” and a crossroads between Africa and Europe many mass-produced items such as coins, ceramic amphoras, painted pottery, raw metals, and other everyday objects of exchange, have long been considered fashionable pieces among collectors. The popularity of the items from these regions increases the risk of looting and illicit trafficking. When found in their original archaeological contexts these items provide archaeologists with a wealth of knowledge, offering insights into mechanisms of communications and the circulation of goods. The market value of an object should in no way be confused with the “true” value an object in its original context provides, as it is only through excavation utilizing controlled, scientific methods that we can improve our understanding of the past for the benefit of all. The AIA’s support of the archaeological heritage in Chile and Jordan has a long history, reinforcing the Institute’s awareness of the importance of preserving and protecting the diverse cultural and shared human heritage found within these countries. In 2009, the AIA awarded its second Site Preservation Grant to the Easter Island Statue Project to develop stone preservation techniques to protect the moai from deterioration resulting from the fragile nature of their volcanic stone, climate change, and tourism. In 2015, the AIA awarded a Site Preservation Grant to the Project for the Preservation of the Pukara and Chullpas of Nama. The village of Nama is marked by stone structures (pukara) and associated adobe funerary towers (chullpas) typical of the Late Intermediate Period in the South Central Andes; the grant supported the creation and implementation of a long-term community based preservation project that combined technical conservation with local knowledge. In Jordan, arguable among the most notable projects to date, are the excavations at the Great Temple in Petra undertaken by Martha Sharp Joukowsky, a former president of the AIA (1989-1993). In 2010, the AIA announced the award of a Site Preservation Grant to a Project to protect the archaeological site of Umm el-Jimal in Jordan through education and outreach efforts which included the creation of a virtual museum and education center. The Cultural Property Advisory Committee Meeting to consider these requests takes place April 1-3, 2019.